​Join us at Sydney University's indoor climbing gym, The Ledge, and as a member enjoy highly discounted entry free of $7 from 5pm onwards. This is a great opportunity to meet other members of the Club. We head to the Flodge on Arundel St around 8.30pm for more socialising, and food and dranks. This semester SURMC will be running a training program focusing on outdoor rock climbing. This program is aimed at taking people from ‘competent indoor climber’ standard to ‘outdoor sport trip leader’ standard, with the optional extra skills for multi-pitch and trad. This is a great opportunity to learn to climb outdoors, and fast track skills that would otherwise take a long time to develop. If you’ve been climbing indoors for a while and a keen to get outdoors, this is exactly the thing for you. This trip is totally free of charge to SURMC members (WOAH!!!?? Crazy good deal). The program involves 4-6 teaching trips (run by volunteer SURMC members) where you will learn specific skills. There will also be specified unsupervised practice tasks where you will consolidate what you learn. You cannot be too skilled to attend this program, and you are welcome to join at any stage (if you have already mastered the previous skills), however we require that everyone attend the ‘trip leading, first aid and rescue skills’ day on the 13th May. 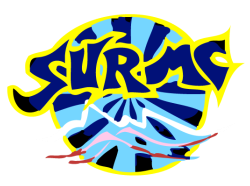 Only current members of SURMC may come on club trips. The trip leaders reserve the right to ask any trip attendees for proof of membership. For proof of membership, ask a member of the Exec to sign a club membership card for you when you're next at The Ledge. Although we strive to keep this website up to date we are lazy and hence it is not always accurate/complete. Facebook is our main means of communication. Join us on Facebook for updates and complete info.